At the end of 2017, everyone was starting to look back on the films of the year and discuss just which was the best. 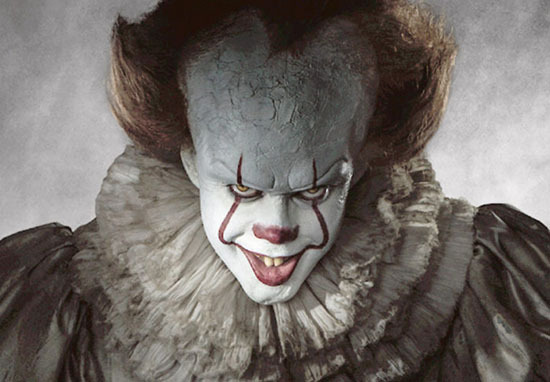 Invariably, most people were talking about the adaptation of Stephen King’s IT, the horror phenomenon which took the world by storm. I personally feel I didn’t have as much fun in the cinema with any other films as I did for the Pennywise-fronted 80s nostalgia blast. Yet since the films release, fans have been calling for more and more IT related clips and info on the sequel – some have even demanded an extended cut. Well now, probably the best extra we’ve had to date has just been released – it shows Henry Bowers stalking the Losers Club. However, that’s not all, – in the car, are Henry’s best mates, Belch and Victor, sat with their throats cut – something you definitely don’t see in the theatrical release. Blood is everywhere in the car, and Bowers’ mental degradation is highlighted by the fact he is still talking to the two mates who he mercilessly slaughtered. The clip has now been removed on copyright grounds, but it just proves how much Pennywise has twisted the mind of the guy to make him sit in the same car as his dead mates before he turns his attention to the Losers Club. Despite being pretty gruesome, it’s not the only scene fans didn’t get to see, because the creators of the film edited out a scene they deemed ‘too disturbing’ to end up in the final cut. There was a scene we shot that was a flashback from the 1600s, before Pennywise [was Pennywise]. The scene turned out really, really disturbing. And I’m not the clown. I look more like myself. It’s very disturbing, and a sort of a backstory for what It is, or where Pennywise came from. That might be something worth exploring in the second one? The idea is the It entity was dormant for thousands and thousands of years. The [flashback] hints on that. Well, thankfully, we have the folks over at Bloody Disgusting to thank for releasing the extract of the script which has had the internet talking and speculating for weeks. Without further ado, here we go – FYI ‘she’ is a devil-fearing mother from the 1600s. She’s shaking, doesn’t want to let go. Behind her, the Door OPENS. A Little Boy, 6, asks — BOY: Mama? ABIGAIL: NO! OUT! NOW! Frightened by his mother, the Boy runs. She turns away from the baby. Faces those dying embers. We keep on her face as they seem to begin GLOWING BRIGHTER AS — OVER HER SHOULDER — OUT OF FOCUS — Pennywise crawls over to the Baby and starts to feast. SHARP CRY FROM THE BABY CUT OFF as we hear a CRUNCH. Abigail continues to look into the BRIGHT ORANGE GLOW of not the flickering fire… but the DEADLIGHTS. Her expression changing. Fear. Denial. Grief. Acceptance. And then nothing. Just a glazed look. Well then, let’s hope we get to see it in the extended edition, eh? Maybe not. 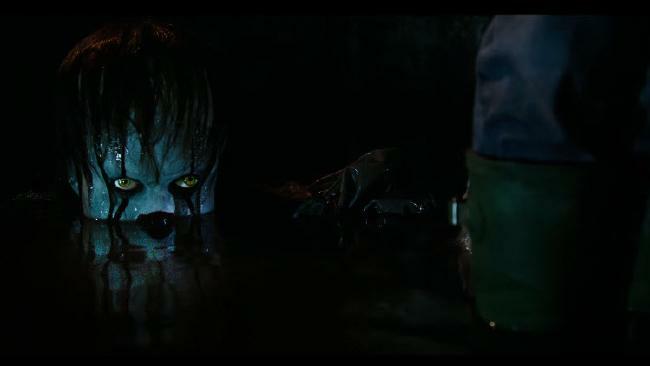 Highly Disturbing ‘IT’ Deleted Scene Had Pennywise Eating a Baby? !